Have you gotten into trouble in seeking for a trustworthy MKV cutter freeware to manage your large MKV video files? Do you worry about the quality issue after conducted a cutting process? If you yearn for releasing yourself from anxiety and depression, you should come to this right place. Here we show you 6 most prevalent free MKV cutter programs for you to let unpleasing video away. 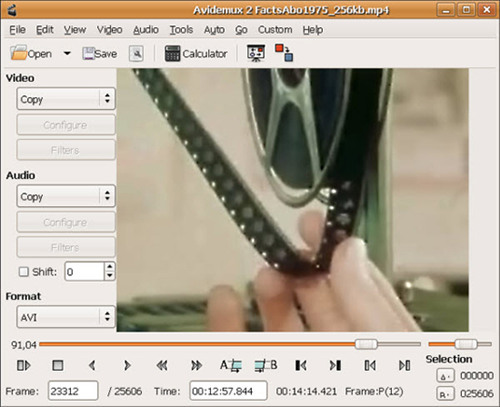 With a user-friendly operating interface, Avidemux is a completely easy-to-use MKV cutter, especially for new beginners. Apart from MKV, it can also supports many common formats, like AVI, OGM, DVD compatible MPEG file, ASF, MP4, etc. If you use it, you will be glad to know its broad compatibility to Windows, Mac, Linux and BSD. Similar to other handy splitting tools, it will play the imported MKV video for you. Hence, you can be clear about which part to be cut exactly. Besides, Avidemux will carry out task by making full use of projects, job queue and powerful scripting capabilities. As its straightforward name suggests, Free Video Cutter Joiner is such a two-in-one video editing program. It is well developed to not only cut but also merge video files based on your actual needs. Under the help of it, you are allowed to set quality as well as frame rate for your MKV video files. However, you will notice that it has no preview option given. To cater to different users' preferences, it provides two feasible methods for you to cut MKV files in flexible way. Direct Cut, called no-recoding mode, can work fast but supports less video format. Indirect Cut, called re-encoding mode, perform slowly but supports almost all video formats, such as MP4, AVI, WMV, MPEG, 3GP, FLV, etc. 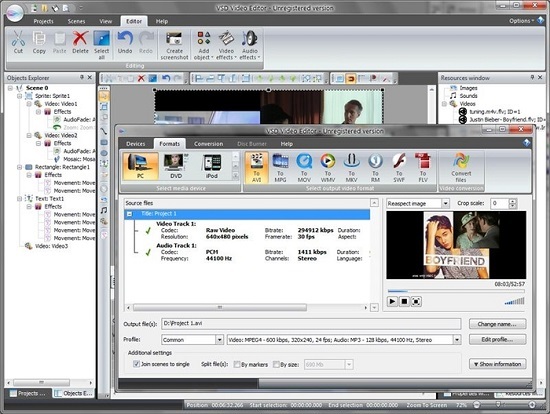 Here Gihosoft Free Video Cutter is another good choice for you to manage your MKV video files. It can work well with both Windows and Mac. To know how to split a MKV file into 2 parts, 3 parts and more, try it. With the exception to MKV, it also includes full support to various formats, like AVI, VOB, RM, MPEG, ASF, 3GP, WMV, FLV, MP4, MOV, etc. By means of this smart tool, you can accurately control every second of your MKV video as it comes with well-designed spin buttons. What's more, it can guarantee high-quality video absolutely. There are only three simple steps: import a MKV file, set a time range for trimming and save as new file. Anyway, it is quick and forthright enough for you. Clean and safe as Free Video Cutter is, it is widely used by majority of users to eliminate useless segments from original large MKV video files. Likewise, it is capable of helping you output video to MPEG4, DviX, WMV, FLV, MOV and MP3. Briefly, you can extract audio from video directly as long as you choose audio format. Of course, any finished video will be saved in good quality. It doesn't matter to have no professional technical skills and no knowledge about video formats. As long as you show interest in it, you can directly try it by yourself. It is available for you to change the precision value at your own will. 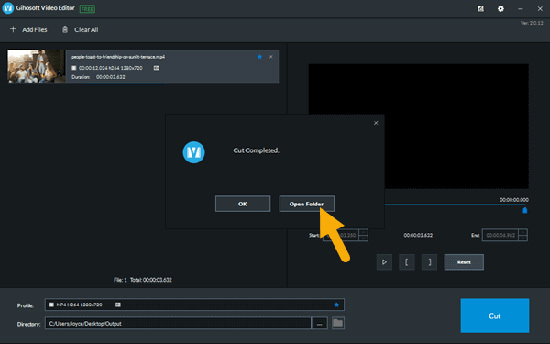 What you should remember is to select the "Don't create video thumbs" option, which is time-consuming when you deal with large MKV video files. Specialized in video editing, VSDC Free Video Editor enjoys high reputation from both home and abroad. It makes processing long and complex videos easier. With comprehensive capability, it has access to all popular video formats, for instance, MKV, AVI, MP4, WMV, 3GP, FLV, etc. Unlike other video cutting tools, this non-linear editing program empowers objects to be placed in any position on the timeline in any size. Alternatively, VSDC Free Video Editor gives you a wide range of video effects, object transformation, color correction, sound normalization, echo, etc. When get a satisfying MKV video file, you can upload it to YouTube or burn it to optical discs. Moo0 Video Cutter is a fairly light program that is ideal for sorting out your large MKV videos by cutting off needless sections. Furthermore, it can do good job to support videos in other formats, including AVI, FLV, M4V, MOV, OGG, MP4, OGV, WMV, etc. 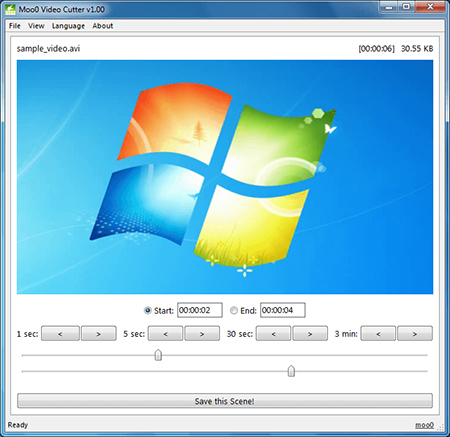 Regardless of its limited compatibility with Windows only, it is actually a high-efficient MKV cutter for you to choose. Essentially, even though the video has been handled, there is no any quality loss in destination MKV file. To make a precise selection, this tool authorizes you to setup both start time and end time in manual manner. It also workable to take advantage of the well-arranged time adjuster to skip 3 sec, 5 sec, 30sec or 3 min as you like. It can be utilized to cut MKV files without re-encoding process. On the basis of keeping lossless quality, Joyoshare MKV Cutter permits you to generate video file in common format or portable device. Amazingly, it can also extract audio from video at up to 60X faster speed. Note: No matter which MKV cutter tool you select, you are supposed to try it in advance. Only when you do it by yourself can you know whether it is conform to what we said.